Car was picked up from my place of employment on the morning of 5/21/18. The car porter decided it was the turbo charger. I picked up a loaner on the evening of 5/21/2018 and returned it on the evening of 6/1/2018. I was told that the pistons and rings were replaced on my Encore. I asked if the issue with the pistons and rings caused any permanent damage to the engine. The service manager assured me it would not. I am hoping that the pistons and rings did not cause permanent damage to the engine of my 2017 Buick Encore. 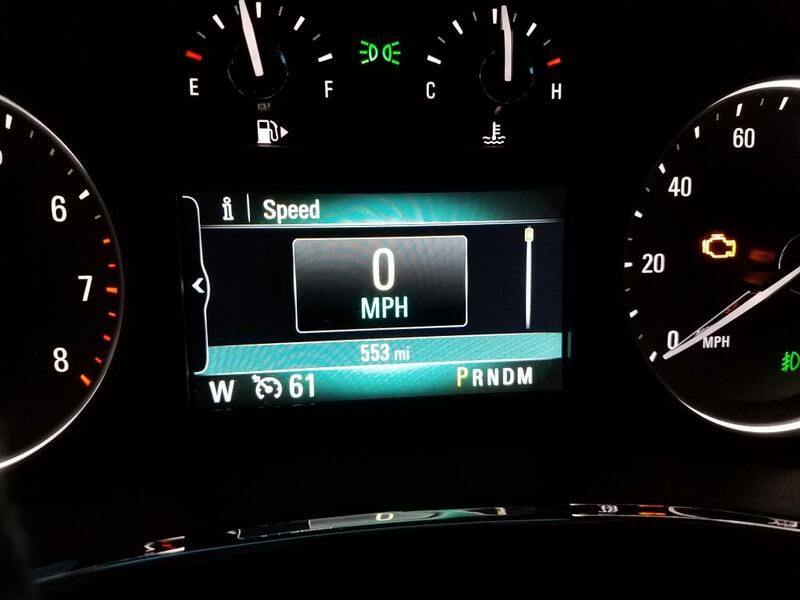 Experienced the engine light on at 553 miles! Here are the details: • Had not filled up with gas for about 150 miles and probably six starts and stops. (It was not the gas cap) • Going up and down steep hills in winter weather with decreased acceleration. • OnStar diagnosed with a fuel mixture issue to the engine (didn't write down the code) • Dealer took it in with the light on and didn't find any issues. My 2017 Encore was returned to me with the engine light off on the same day.